This online auction features a TV, lamps, picture frames, china, pottery, outdoor furniture, wall art, trampoline, rugs, tools, golf clubs, shelving, fireplace tools, flower pots, bird cage and much more. This online auction features Side Buffet, Pegasus Worx Bench, Side Chair, Japanese Bath Bowl, Antique Singer Sewing Machine, Entry Chest, Framed Print On Canvas, prints, Side Buffet, Rubbermaid Rolling Tool Box, 1976 Corvette, 1955 Chevrolet and much more! This online auction features ART: SIGNED paintings, sculptures and pottery - including face jugs. COLLECTIBLE: Limoges trinket boxes; RS Prussia and Lenox; bird ceramics including a wall pocket and swan collection. GLASS/CRYSTAL: Carnival glass in two colors; opalescent, hobnail; cut/pressed and much more! This online auction features furniture such as American Drew dining table and chairs, leather sofa, four poster bed, and Duncan Phyfe sofa, pool table with accessories, electronics such as digital cameras, Epson projector, 31” TV, video games, and photo scanner, art such as Thomas Kinkade prints, framed posters, and framed photography, appliances such as Whirlpool Duet washer and dryer, KitchenAid refrigerator, and Kenmore freezer, tools such as portable compressor, Honda pressure washer, and cookware, glassware, books, linens, wheelchairs, air hockey table, foosball table, Lego and much more! This online auction features a Frigidaire Freezer, Medical Equipment, Duraflame Electric Heater, Kitchen Aid Mixer, Toaster, Can Opener, Glass Jars, Pitchers, Bread Maker, Dining Chairs, Barometer, Clocks, Asian Crocks, Samsung 46 inch, Recliner, Nordic Track Stationary Bike and Weights, Ridgeway Grandfather Clock, Standing Jewelry Cabinet, Four Poster Bed Frame, Vanity And Bench, Porcelain Dolls, Wood Roll Desk, Honda Self Propelled Lawn Mower, Troy Bilt Pressure Washer and much more. This online auction features a vintage electric typewriter, Fridgidare refrigerator, Ludden and Bates upright piano, vintage Commodore computer, a large collection of Hallmark ornaments, furniture and much more! This online auction features ANTIQUE: Bed. VINTAGE: Double-sided and mirrored armoire, several chests of drawers, humidor, dresser and matching end/night tables; leather luggage. FURNITURE: Several bedroom suites - Ornate KING; Canopy Queen; country French dining table and rush seat chairs; wooden file cabinet; many pieces iron patio furniture. 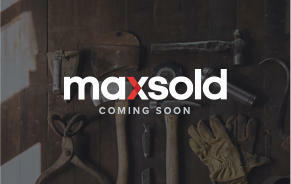 SHOP: Several pieces of Coleman shop cabinets and workbench. Vintage glass mirrors. ART: Asian, watercolor, prints. COLLECTIBLE: Evening bags; china florals; Asian ceramics and much more! This online auction features Antique furniture: Civil War era short queen bed, Henredon black walnut bedroom pieces; vintage child's desk. EXERCISE EQUIPMENT: Nordic track, Fit For Life weight bench with weights, Schwinn exercise bike, ProForm Treadmill. 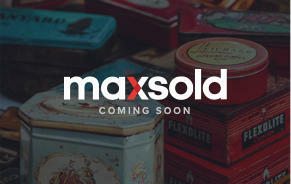 Collectibles: Large collection of black glass stemware, dishes, bowls, serving pieces and more! The Colonial Series collector's plates. TOOLS: Black and Decker radial saw, Sears Lathe, Hitachi table saw, Skil sander and more! Auto shop supplies. VINTAGE: Slingerland 5-string banjo; Singer sewing machine cabinet, Kaiser sewing machine. MEADE TELESCOPES. Tiffany style lamps. HANDMADE QUILT and much more! This online auction features original artwork by artists such as Mursden Hartley, Pinocchio handpainted cell; African and Mexican masks and figures, collectible items and much more! This online auction features high end FURNITURE: Natazzi leather sectional leather sofa, Arman Art two seater sofa, Jardine Ent. 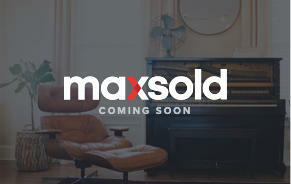 Ltd animal print armchairs, marble top table, recliner theater seats, Clayton Marcus sofa, leather sofa an more! CUISINART WINE COOLER. Weighted STERLING and wooden bowl combo. CHINA: Dibbern, Germany fine china, Crate and Barrel dishes and serving pieces and much more! Easiest way to liquidate estate. Great buys. I have won multiple lots in three separate auctions over the past several weeks. Everyone was very professional and helpful at all three pick ups. I have been very pleased with each auction I have been a bidder in. Everything goes as planned and crew at pickup are very helpful. "The ladies that came to catalog and photograph my items were prompt, courteous, and professional. 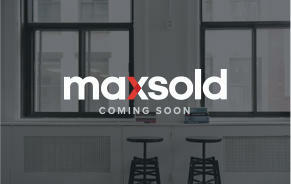 So far the process from the initial introduction of MaxSold through the inventory has been easy. Everything if fully explained and all questions have been answered. Now hoping for a good auction!" Very smooth process. Very quick response in a tight timeframe. Reps setting up and during pickup were very professional and friendly. I really like working with Amanda. She was persistent, but not intrusive or pesty. 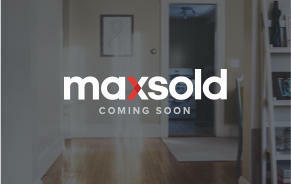 Her patience and manner are what help me make a decision to use MaxSold. I had a house full of items to sell for my aging mother and was completely overwhelmed with the process. 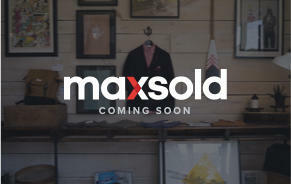 I contacted Max Sold and they walked me through the process. I grouped all of the items together and they did the rest. They respected our property that was being sold at the time. They took care of all of the pictures, handled the money and the customers. There were 2 lots left over that were not picked up on time and they worked with me to contact the sellers to get them picked up. I called several times on a Saturday and they were willing to give me a few minutes to get the information I needed. It was an easy process and we were happy with the outcome. Highly Recommend. Convenient, comfortable, well-coordinated process with courteous personnel! 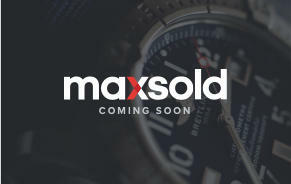 The success of your first online auction in the Atlanta area speaks well for MaxSold, the effort, and organization your team put together. We are very pleased with the entire operation, from beginning to end. We are amazed at the final results! Wendy and her team were absolutely great!